Mounting hardware and cleansing seat cords are completely concealed, giving Veil a sleek, seamless look that is easy to clean. 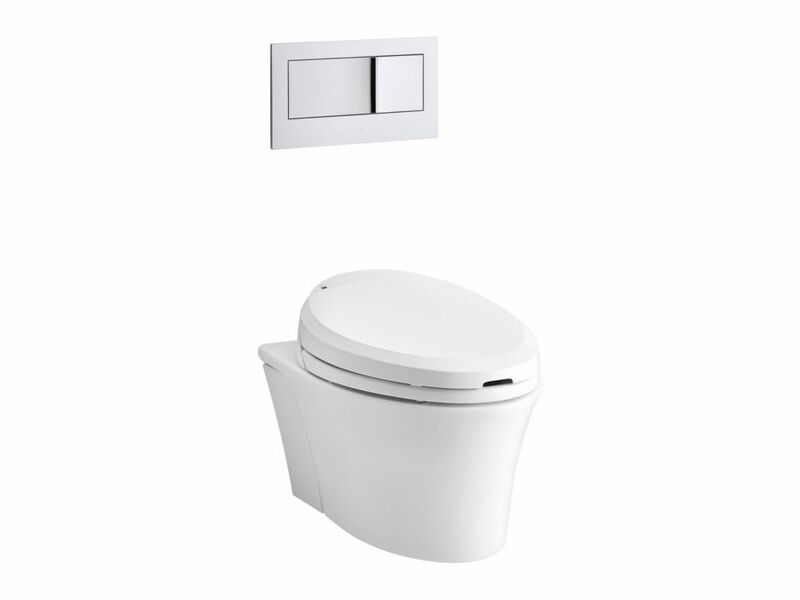 Bowl only: Requires K-4744 C3-201 cleansing toilet seat, in-wall tank and carrier system, and flush actuator plate (sold separately). Veil Wall-Hung Elongated Toilet Bowl Only In White The Veil wall-hung toilet saves up to 12 inches of precious bathroom space over KOHLER's longest floor-mount models. Veil Wall-Hung Elongated Toilet Bowl Only In White is rated 5.0 out of 5 by 1. Rated 5 out of 5 by Jim from Product is excellent and works fine. Product is excellent and works fine.